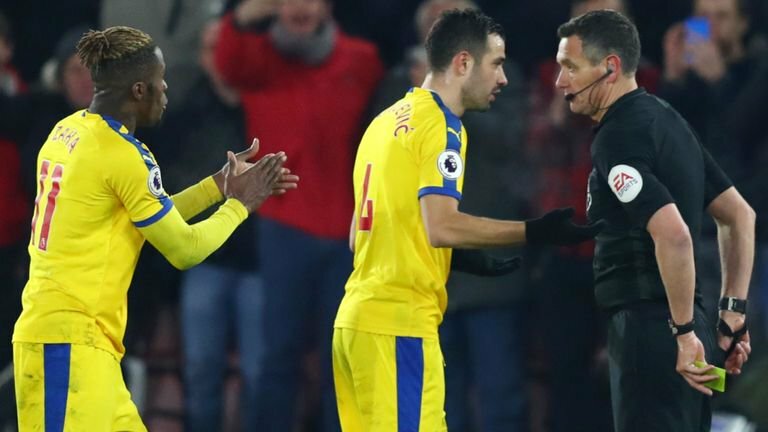 Crystal Palace star Wilfried Zaha has been given a one-match ban by the Football Association for improper conduct after sarcastically applauding referee Andre Marriner. Zaha was punished following his antics in Palace’s Premier League draw at Southampton on January 30. The Ivory Coast forward clapped at Marriner after being booked for a clash with Southampton’s James Ward-Prowse and was subsequently sent off after earning a second yellow card for his show of dissent. The 26-year-old will not serve the suspension immediately as he can decide whether he wants to appeal against the decision, making him available for the home match against West Ham this weekend. “Wilfried Zaha has been suspended for one match following an independent regulatory commission hearing yesterday (06 February 2019). He was also fined £10,000,” FA statement said on Thursday. “The suspension is not currently effective whilst the player considers his right of appeal. Zaha had already missed his side’s 2-0 win over Fulham last Saturday as he served an initial one-match suspension for his red card, making his new ban an additional punishment.